The Alumni Achievement Award is the highest honor bestowed by the Association and is given in recognition of outstanding life service which has brought honor to the individual's alma mater. These awards are presented each November at the Harvest Dinner during OBU's Homecoming celebration. Anyone from the OBU community may nominate potential award recipients. See below for nomination forms. Nominations are due April 14 of each year. See below for nomination forms. View a full listing of Alumni Achievement Award recipients. One Graduate of the Last Decade (GOLD) Award is presented annually during Harvest Dinner at Homecoming to a young alum, not necessarily a graduate, of OBU, who, in his or her life and career has demonstrated outstanding achievement and brought pride and honor to the University. Anyone from the OBU community may nominate potential award recipients. Nominations are due April 14 of each year. See below for nomination forms. View a full listing of GOLD Award recipients. The Profile in Excellence Award is given to a former student, not necessarily a graduate, who has demonstrated recognizable accomplishment in his or her profession, business, avocation, or life service in such a way as to bring pride and honor to the University. Each year, up to 12 Profile in Excellence recipients are selected and all are featured in an article in OBU Magazine. Anyone from the OBU community may nominate potential award recipients. Nominations are due August 1 of each year. See below for nomination forms. View a full listing of Profile in Excellence Award recipients. The OBU Alumni Association has granted Honorary Alumni status to ten individuals in the history of the University. This extremely rare honor is given to individuals who have shown uncommon love and support for the University over a considerable period of time. The honors are approved by the OBU Alumni Association's Board of Directors. View a full listing of the University's Honorary Alumni. The OBU Alumni Association has presented Distinguished Service Awards to individuals, both alumni and non-alumni, who have brought honor to the University through their careers and/or life contributions. View a full listing of Distinguished Service Award recipients. 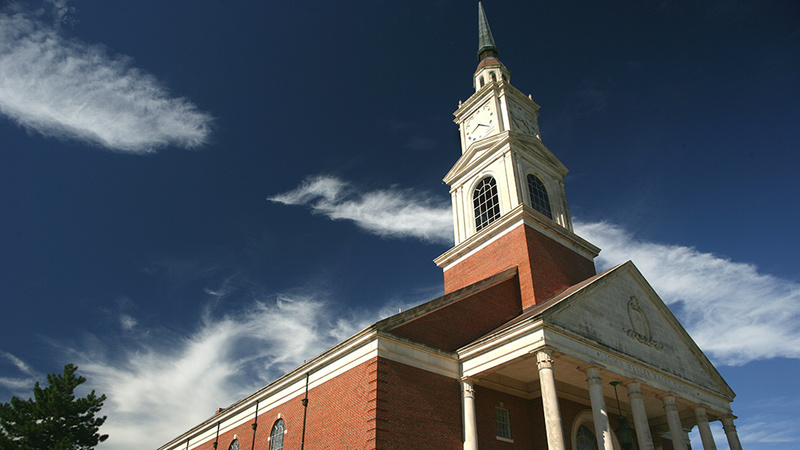 In accordance with a long-honored tradition in higher education, Oklahoma Baptist University bestows honorary doctoral degrees on individuals based on the significant contributions they have made through their life's service. Honorary doctorates are awarded by action of the University's Board of Trustees. See a full listing of those the University has given honorary doctorates.